When winter appears and the cold extremities set in, you’re left with a couple of options. You can hibernate in front of the telly, or you can make the more whimsical choice of heading outdoors to embrace the wintertime magic. The key to having an enjoyable winter adventure is to prepare yourself with the right gear, to plan ahead, and to step into the snow with the correct mindset. To help you prepare the path for your journey, we’ve put together a list of 10 essential tips for winter walking. We hope this advice gives you the inspiration and information you need to venture outdoors safely and enthusiastically. As beautiful and as innocent as snow-white landscapes might seem, it’s crucial that you do not underestimate what cold weather conditions are capable of. When it comes to planning a winter hike, there’s simply no such thing as being over-prepared and it’s worth sweating the small things. From ensuring that you have the right type of walking shoes to following weather predictions, having a detailed schedule and a well-stocked inventory is what will help you to enjoy your icy excursion whilst keeping safe. When preparing for a walk along snowy mountains, especially if you plan on straying far from home, then your prep-work should start days ahead of the scheduled outing and should continue to the first step, and then beyond. Remember that enduring the cold requires both mental and physical preparation. This means that your mind needs to be focused, your body needs to be in the right shape, and your gear needs to be applicable and well-maintained. Planning your day or your excursion stems from point one; being prepared. When it comes to winter hikes, especially in snow-laden terrains, being one step ahead is always recommended. While a challenging walk can soothe the soul and help you to reach an ultimate level of euphoria, there’s also so much that could go wrong. Less is likely to go wrong if you have your day planned out to the T.
Now, some might say that this would lean towards obsessive-compulsive behavior, but when it comes to your safety, we’ll allow the excessiveness. From breaking in your hiking shoes to checking weather trends and making a list of alternative routes, planning your winter walk step for step and scheduling your movements in by the hour will make your excursion all the more pleasant and hopefully accident-free. 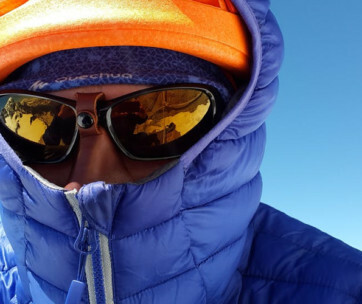 Your summer kit simply won’t work for icier escapades and if you don’t already have the correct gear for winter walking, then a crucial step in the right direction would be to stock up on more applicable equipment. First and foremost, you will want to trade your lighter kicks in for heavier waterproof boots, preferably ones with built-in insulation (we can highly recommend Gore-tex boots). Then, we suggest you dress like an onion and layer it up. 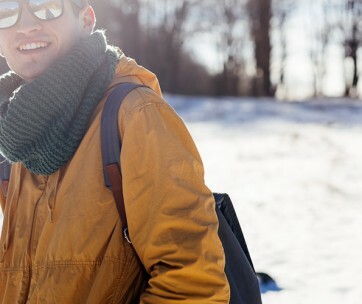 Multiple layers are better at trapping warmth in than bulky garments – thin layers are also easier to pack in your backpack and might even weigh less than the equivalent of one behemoth jacket. Whatever you do, do not disregard the importance of walking aids. According to Outdoors Magic, the bare minimum for serious mountain winter hiking includes crampons, a reliable ice-ax, a lightweight shovel, two laminated maps, and two compasses. Add some trekking poles and you’re gear-ready. While the last thing we want to do is instill a living fear of avalanches into you, being aware and prepared for natural disasters could potentially save your life on a challenging slope. Avalanches are not uncommon and many a hiker has found themselves in the midst of rushing snow. Our advice is that you brush up on your winter skills and research what measures you need to take in a scenario where you are buried under a mountain of ice. Areas that are popular for their deep snowy slopes often offer courses with specific attention paid to developing avalanche skills – you might want to suss out one of these courses. In terms of gear, some of the most important emergency bits to carry in your kit are without doubt an avalanche probe and a lightweight shovel. Watch this video by Glenmore Lodge to learn how to best utilize these tools when saving someone who is trapped under snow. It’s not uncommon for snow in your area to be completely different from the snow found over high mountainous terrains. Not only do you get different types of snow but the way it layers on the ground can also have an impact on how your winter walk goes down. When trekking in deep snow, the most dangerous type of snow packs that you should recognize instantly is wind slabs. A wind slab is a form of snow formation and is the catalyst for a high number of avalanches. Of course, you want to avoid these slabs at all costs and if you do have to traipse over them, you need to know how to do so cautiously. Wind slabs can be recognized by their dull surface and a distinctive squeaking noise when walking on the area. Navigating your way through winter conditions requires a little more skill than summer hiking. Our first suggestion is that you invest in a quality compass, make that two – it’s crucial that you always have a backup. Pacing –Outdoors Magic gives solid advice on this. They recommend that one paces to a pre-measured 100m line. One paceis essentially equal to two regular steps put together. Timing –Timing helps you to keep a record of where you are and predicts when you should reach a certain point on a map. One of the most accurate timing methods is to estimate how fast you’re walking and then calculate your timing based on the exact distance to your destination. You can then add on one-minute journey time for every contour you ascend. Contours –Lastly, know your contours. When you cannot see features such as paths or fences in front of you, then contours can really help you feel your way along a route. You’ve raided your local sports equipment store and you have all the necessary gear at hand, all shiny and prepped for adventure. But are you familiar with how each piece works? 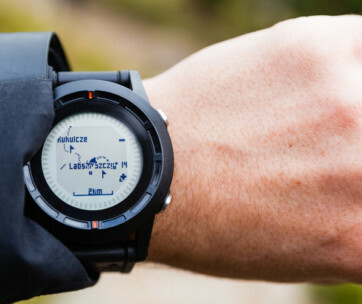 For instance, hiking watches have a multitude of different features, yet we tend to only make use of a few of them. The same goes for other walking apparatus, like an ice ax and crampons. 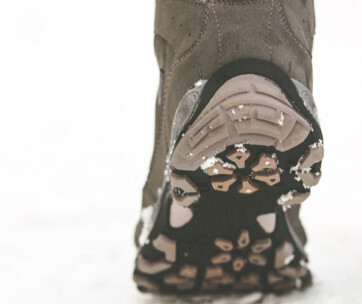 Walking in crampons requires a bit of skill on its own and if you make incorrect foot placements, then you could end up with aching feet or even worse, a twisted ankle. And as for your ice ax, you need to know how to swing it and when to swing it, otherwise, you could end up slipping and once you pick up speed, stopping might be impossible. Get to know what each piece of gear is used for and learn how to use it to its full potential. It’s part of the fun, actually! Taking a brisk walk around your neighborhood in snowy weather is one thing, hiking up an ice-laden slope is a different story altogether. Knowing how to avoid slipping or falling by correctly placing each step will save your energy and will protect you from falls. Firstly, make sure you are wearing the correct footwear. Your average trail running shoes might not make the cut for the blistering weather and slippery surfaces. Once you’ve got the right set of kicks, then you can learn how to put them into action. Kicking steps –If you’re trekking in a group, then whoever is in the lead should aim to kick positive foot holes into the snow. These holes become secure footholds and the stability will increase as each person along the line makes use of them and securely packs the snow together. 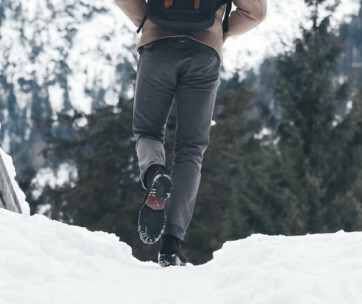 Using the edge of the boot –If you’re not using crampons, then the most efficient stepping technique is to walk with your feet pointing horizontally along the slope. This way you are relying on the edge of your boot to move you upwards and you will use more surface area of your boot’s sole. Tackling icy slopes is not for amateur hikers. There are many dangers that can befall and you should be fit enough for the challenge as well as well-versed on what to expect while you are navigating your way around the snow. Having a detailed emergency pack is a step in the right direction and knowing first aid techniques and hacks could save a life, if not give you more peace of mind. Prepare your survival backpack so that you will have quick and easy access to emergency equipment – carrying a multi tool in the pocket of your hiking pants is also recommended. Hiking alone is never a good idea, even more so in colder weather conditions. 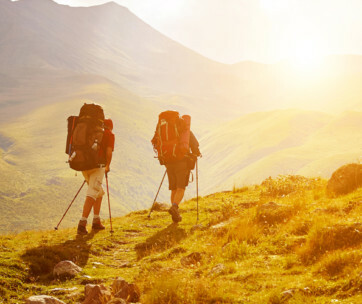 By joining a hiking club, you will not only have experienced hikers to join you on your journeys, but you’ll also learn new things and progress with your sport as a team. So, what will it be? Binge-watching re-runs in front of the telly or donning those work boots and heading out to explore winter in all its glory?